In May of 2013 I responded to a Skeptic Ink blogger named No Cross No Crescent about his blatant use of government propaganda in his support for the drone wars and for the murder of Anwar al-Awlaki. In the comments he replied to my first post, (this post can also be viewed locally) but his counter-arguments were not much better than his original ones. What follows is the discussion with NCNC about the drone wars. No Cross No Crescent: […] I do not write full post replies to full post criticisms. That kind of back and forth is not why I signed up to blog. I will be happy to discuss any issues on my own blog at the appropriate posts. Thanks for responding. I would agree that a part of some of the reasons are religious in nature. For example, Bin laden has said that he wants the troops out of Muslim lands because they're sacred. However, he has also said that the murder of civilians and the destruction caused by the invading U.S. forces is another large concern. Check out Wikipedia, which even confirms these facts (not that Wikipedia is always right, but I checked their facts and in this case they are). Bin laden cited U.S. sanctions against Iraq (which killed half a million people, I believe), the U.S. support for Israel, and the presence of the U.S. military in Muslim lands. The facts don't justify the “it's only religion” argument at all. And you cannot ignore the many recent attacks, such as the one in Boston, that was due to the murder of innocents in Muslim lands. None of the terrorists' reasons I cited in my post above gave any religious motivations. With all of this evidence proving, undeniably, that it's not only about religion I'm truly puzzled by your position. No Cross No Crescent: Bin Laden would say anything. His goal was to set up a caliphate in all Islamic lands, including those no longer Muslim. According to El Pais, an attack in Spain was planned before 9/11 which could not be carried out. Why? Because many centuries ago Spain (back then, and still in the language of Islamists, al-Andalus) was an Islamic land, subsequently overrun by Christians. And violence against Muslims is used to recruit for causes that have actually nothing to do with the mentioned violence. Plenty of terrorist propaganda prior to 9/11 was based on what happened to Muslims in the Balkans. Even though it was the US that finally STOPPED the genocides in Bosnia and Kosovo! So why use that against the US? Just to confuse the issue and help recruit. They see the US as the biggest power among infidels, which needs to be broken by all means possible. (That was the idea that I used to hear day and night.) As for US support for Israel-Islamists blame "infidels" for "usurping Muslim land" as long as Israel exists, no matter what. And the attack in Boston, if anything, shows the religious motivation-the perpetrators were from Chechnya, and whatever atrocities are committed there are not at the hands of the US? Again, because infidels are to blame and the US symbolizes infidels to them. 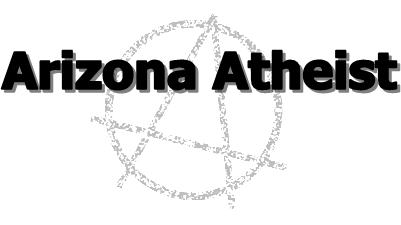 Arizona Atheist: Thanks for the response. Once again, you're ignoring what's right in front of you. Namely, the stated reasons for a handful of the attacks. But you deny it had anything to do with acts of U.S. aggression and argue that “they'll say anything” to inflame hatred against the U.S. Ok... Answer me this then. Obviously their beliefs are highly sacred to them, so one would think that the best way to gather support for their war against the west would be to try to appeal to their religious beliefs and not bother with anything else. But we don't see this. Many, if not most, of the terrorist attacks have been perpetuated by people who have true grievances against the U.S. government. As to your argument that the U.S. stopped the fighting in Bosnia, I don't see what this has to do with the fact that, as I argued, one of the reasons Bin Laden was hostile to the U.S. and wanted retaliation was over the U.S. sanctions in Iraq over a period of five years that caused deaths of half a million children. This was not mere propaganda. All this really happened. Even The Guardian mentioned this fact in 2000. This was about a year before 9/11... and it had nothing to do with it??? I find that hard to believe. No Cross No Crescent: It is kind of hard to gauge who the people with a "real grudge" against the US would be. Mohammad Atta, for example, was Egyptian. You may say the US supported dictator Mubarak of Egypt. But what about plenty of other dictators the US supported? Franco, Pinochet, Marcus...why didn't any suicide bombers come from their countries? The majority of the 9/11 attackers were Saudis, and the main grievance of the Saudis would the presence of "infidels" in the Islamic holy land-again, a grievance of religious nature. As for Al Qaeda using the plight of Iraqis to recruit, it has to be said, Al Qaeda has been extremely cynical in exploiting all kinds of situations to recruit. For Al Qaeda to "sympathize" with ordinary Iraqis was the height of hypocrisy. The majority of population in Iraq are Shiites, and Al Qaeda has been murdering them in their thousands for many years now. While the suffering caused by sanctions would not discriminate, numerically most victims would be Shiite. So why would Al Qaeda turn to mass murder the same people it was sympathizing with one day? Easy. Back then it was a tool for recruitment, helping the cause of bringing about a caliphate. Now, the Shiites (considered heretics by fundamentalist Al Qaeda Sunnis) are the main obstacle to a Taliban style "Islamic Emirate" so they have to be killed. It all makes sense if you remember extremist religious ideology is their true motivation. Arizona Atheist: I think it might be helpful if you read these two articles. MSNBC The blowback: When American violence leads to anti-American violence. And, Aren’t Religion and Politics Both to Blame for War on Terror?. See also, my response to you after your repeated comment below. Well, you've provided no evidence that these calls against injustice are just smokescreens to convince people to join their cause. It's purely circumstantial. I could just as easily argue the opposite. If what you say is true, why would captured and interrogated terrorists tell the authorities they attacked such and such target over the drone deaths? Or why would they say the same thing to a judge during their trials? They're not speaking to other Muslims, they're telling Americans that, but aren't the ones they're supposed to be propagandizing to are other Muslims in the Middle East? There's no logical reason to tell their interrogators false motivations. It's not the interrogators or judges they're trying to convince. I want to reiterate that I agree with you that religion does play its role here, but that's not the whole story by a long shot. I think the evidence fits this conclusion best. It's not just political reasons, and it's not just religious reasons, but a combination of the two. Finally, many people do join al Qaeda groups willingly and without being recruited once a loved one is killed. It's the acts of their loved ones being killed that drive them to seek out groups that will help them to get revenge. Propaganda has nothing to do with it. Do you not believe Muslims are capable of feeling deep loss and dispair and seek revenge when their loved ones are killed? As a matter of fact, many have testified that their reasoning was exactly that. They do not share the same ideological beliefs as the Taliban or al Qaeda, but they seek them out because they believe that group will help them get revenge. I believe that's strong evidence for my view that it's not just about religion, but revenge also. No Cross No Crescent: Al Qaeada doesn't give a hoot about human suffering or life, be it Muslims or otherwise. Look at this, for example. http://en.wikipedia.org/wiki/1998_United_States_embassy_bombings They were trying to teach the "infidels" a lesson, so they bombed US embassies. As a result "only" a dozen Americans died, along with hundreds of Africans, no doubt many Muslims. Did Al Qaeda ever regret that? Not a chance. As another example, the US has now left Iraq, but Al Qaeda obviously hasn't stopped its actions there. How many Muslims does Al Qaeda have to kill before we conclude it doesn't care about Muslims' lives, and only about setting up a rigid Islamic state? Now of course this doesn't mean those who join such groups don't have legitimate grievances. But against whom? Tsarnaevs' couldn't have any grievances against US, and foreign fighters in Syria today fighting along Al-Nusra have no direct grievances against the Al-Asad regime. Al Qaeda is very good at lumping all "infidels" (loosely meaning anyone it doesn't like) together and play the grieved to become pawns in a game they really have no stakes in. Arizona Atheist: It just dawned on me that we're both not necessarily talking about the same groups. You seem to be focused entirely on al Qaeda, while I'm referring to them and other people who are not necessarily committed to their ideological goals, who just want to join out of sheer revenge. Those people whom I cited are not all al Qaeda, but were committing acts of violence anyway. Either way, these are individuals who often cite drone strikes as a reason for their attacks, even al Qaeda on occasion. The U.S. hasn't left Iraq. There is still a huge embassy there, along with thousands of American State Dept. employees and private contractors. As far as your “evidence” about al Qaeda not caring, they use these tactics all the time, who often kill innocents. So? Their main target was the American embassy, and the civilians were an accident. Ironically even this source cites their motivation being the “invasion of Somalia” and for “revenge for American involvement in the extradition, and alleged torture, of four members of Egyptian Islamic Jihad.” Where is their religious motivations here? As I've said over and over, it's not just religion. There are too many examples to cite... I don't understand why you can't see that it's not just religious reasons for the attacks, but political, for revenge of those Americans have killed, and for ideological reasons. The evidence is all around you, even in your own sources. Regarding Tsarnaev, you're once again ignoring what's right in front of you. He stated his reasons clearly. The wars in Iraq and Afghanistan and the people killed because of those invasions. He said that these American deaths were “collateral damage” in retaliation for the Muslims killed in the Middle East. No Cross No Crescent: My point was that they didn't care about hundreds of Muslims lives then, and neither do they now. So why should we give their claim that they care about Muslim suffering seriously? Looks at their targets. Thousand of Shiites have been killed by militant Sunnis in Pakistan over the last few years. What on earth does this have to do with US policy? US troops have left Iraq. (Embassy? Well there are US embassies everywhere, people don't use them as motives for attacks.) But this clearly hasn't improved the violence along religious lines in that country. Like this attack. Why is the US to blame for this? The point: while no doubt political reasons exist and some of them may be real reasons for resentment, the attacks often have nothing to do with them. They have ideological targets. Concerning Tsarnaevs-how exactly are they tied to people in Iraq and Afghanistan? Except...religion? Infidels paying a price? Let's put it this way. For purposes of comparison, consider this. Whatever grievances may exist against the US over Iraq and Afghanistan are definitely not bigger or more legitimate than Vietnam. So why is it that Russians ever left "collateral damages" on the streets of Boston over Vietnam? Like I said I am not denying that political motives exist. Nonetheless, I don't think they'd manifest themselves this way, if it weren't for religious ideology. Arizona Atheist: Yes, I understood your point. My point was that you're continually referring to al Qaeda when they're not the only people committing acts of murder. Plus, regarding the bombing, their goal didn't seem to be to attack civilians, but U.S. buildings and personnel. Al Qaeda has also been attacking U.S. embassies and U.S. troops, and other symbols of America. Those are the action that have to do with U.S. Policy. A U.S. embassy is still a U.S. presence in their land, when they don't want any American involvement in their country at all. I don't see what's so hard to understand about that. You do realize what an embassy is, right? It's a center for one country to have easy access and relations (or more like interference according to some) with another country. Al Qaeda doesn't want that in any form. Apparently, the link between Dzhokhar Tsarnaev and U.S. policy is the fact that there are groups in Chechnya who have close ties with al Qaeda and, like al Qaeda elsewhere, are angry about the U.S. policies and the wars. Ideological targets? al Qaeda has also been attacking U.S. embassies and U.S. troops, and other symbols of America. Those are the actions that have to do with U.S. policy. Al Qaeda doesn't just go after their religious rivals. You don't think??? So.... according to you, a father or a brother needs to be religious to feel anger, despair, and want revenge for the U.S.'s murdering of their families? I don't think that's a very logical position. These cases are entirely separate from religion. So, let's see where we're at here at this point. Thus far, you've been unable to prove your case that many of these attacks are purely religiously motivated, even after being asked several times. Two, you oddly continue to read religiously-motivated reasons into their actions, even when they explicitly say that they don't like the drone strikes and dead civilians. But.... you say, this is purely religiously-motivated and has nothing to do with civilians... how? You've failed to prove that what they say isn't the truth. Your claims are nothing but pure speculation. The fact is that there are both religious and politically motivated attacks being cared out by different groups. In some cases these two motivations seem to overlap and at other times the reasons seem to be distinctly one or the other. Either way, I'm sorry, but I don't believe for a second that you've proven your case here. Before I go, though, here is another more recent politically motivated killing, even acknowledged by former British soldier Joe Glenton who said, "While nothing can justify the savage killing in Woolwich yesterday of a man since confirmed to have been a serving British soldier, it should not be hard to explain why the murder happened. . . . It should by now be self-evident that by attacking Muslims overseas, you will occasionally spawn twisted and, as we saw yesterday, even murderous hatred at home. We need to recognise that, given the continued role our government has chosen to play in the US imperial project in the Middle East, we are lucky that these attacks are so few and far between." No Cross No Crescent: So...the link between Tsarnaevs and ANY perceived grievances against the US is religion. I am glad we can agree on that. I am still waiting to know what the "US imperial project" in Vietnam, Korea, Granada, Panama etc didn't lead to people from completely random countries, having exactly zero to do with the targets of alleged "imperial projects" to strike back at the US in this way. Maybe because...Islam is different? Obviously neither one of us is going to convince the other. On the other hand-I am not denying that political factors are involved. I am just submitting that responses in this particular way come from Islamists, and Islamists only. I'm sorry, but I never said he had religious motives. He sure did not cite any religious motivations. As I've shown, not all of al Qaeda's motives are religious in nature, as I've demonstrated. Aside from the religion vs. political issue, do you have any other comments about my critique? You don't seem to object to the errors I pointed out. Tsarnaev may not expressly say that his motives are religious. Like I asked before, the question is, what possible link does he have with the alleged victims of the US other than Islam? Why isn't he so upset, for instance, about massacres in the Democratic Republic of Congo? If the only link is Islam, then I am justified in criticizing Islam. As for "other comments about your critique", like I said before, I won't be discussing the drone war here. I am not going to respond to a full post critique in this way. You are welcome to leave comments on my blog on the appropriate posts and I will be more than happy to take up the issue. Arizona Atheist: Regarding Greenwald, to be clear, I am skeptical about his claims about linking Islamofobia to the New Atheism. On the other hand, he is correct about several of the claims made by Harris about the religion are wrong. I do think he has a point when there are many other acts by religion that should be focused on, which is why I linked to that piece. But I also think the rise in "terrorism" by Muslims the last several years is because of the vast interference and chaos that's been brought to Muslim lands for decades at the hands of the U.S.
What other possible link? Likely the deaths of fellow Muslims. As a people, they feel like there is a war against them so they lash out. It's about social identity. Just as if, let's say, homosexuals were being targeted you had an uptick in violence against heterosexuals by homosexuals as a backlash against the violence. Does this mean that their being homosexual caused that behavior? Of course not. It's the same in this case. No Cross No Crescent: Except that violence against gays in Kenya and Nigeria has not caused gay people to target the nationals of those countries abroad. Being Asian is an identity but no Indian committed murder in the name of Vietnam war. And jews in France did not attack the German embassy after Kristalnacht. And while Tibetan monks set themselves on fire without hurting anyone else, where are Buddhist from all around the world attacking chinese interests? Of course one might be tempted to say no other group has a religion that calls its followers the Ummah, or worldwide nation, and enforces this tribal identity by advising them to be kind to one another part and harsh to infidels, as Koran does. But that would be islamophobia. Arizona Atheist: I'd consider this more speculation. There is no hint of purely religious motives in this case. As far as identity is concerned, I've met Muslims who were leftists and secular but still wore their head scarfs out of a sense of cultural identity. No comments about the errors you committed? Hmmm. Alright. I don't see the point in commenting on your post. I've already said what I had to say so why repeat myself? The ball is now in your court. No Cross No Crescent: Fact: Tsarnaev clearly was influenced by an Islamist organization with transnational perspectives (but to say that the Islamist organization was following what the Koran says is "speculation"). Fact: other "identity" groups have never acted this way (eg, homosexuals, whom you specifically named, attacking Iran's interest despite the laughable claim by president Ahmadinejad that they don't even exist in that country, which is not surprising because open homosexuality in Iran is punishable by death). Fact: Islamic language and clear instructions from the Koran, as well as direct quotes from founders of today's biggest Islamist organizations (like the Brotherhood and Jammat-e-Islami) all point to revenge against infidels. But this is all insufficient to show you that Islamism is the problem, not a nebulous "attack on identity". I do not think there is a point in continuing this conversation. It really feels like arguing against creationists. On the other hand, I strongly reject the characterization of my disagreements with you as "errors" on my part. I have no interest in going over them one by one (and this thread has been quite enough). Nonetheless, as I have said, if you have a problem about a specific point in my writings, you are welcome to comment on it and I will discuss it. Arizona Atheist: Fact: Humans are complex, especially when it comes to motivations. Just because someone is religious does not automatically mean they had religious motives. Like I said, your argument is pure speculation because he doesn't list any religious motives. Fact: It's illogical to assume religious motives just because someone is religious. Now, if you had evidence (his citing of jihad or something similar) then you'd have a case, but he cited specifically the deaths of fellow human beings. I only used homosexuals as an example of the complexities of human motivations. I'm sorry, but until you can provide evidence that it was not just the suffering of fellow human beings he felt a connection to, saying his motives were religious is premature. Mischaracterization? I'm sorry, but what else would you call making statements that are not borne out by the facts? You made inaccurate statements about Al-Awlaki, repeated mere assertions by government spokesmen without fact-checking anything, and you failed to provide any evidence for your claims (and the evidence you did cite didn't prove what you argued). I'd say those certainly count as errors (which you have avoided discussion of). I've said all I have to say on the subject in my posts, but you're free to comment any time. No Cross No Crescent: Of course as I said, he didn't feel sympathy for suffering of "human beings" (there is a lot of it in Africa, which for some reason never moved him), rather specifically Muslims, and you changed the argument form "human suffering" to "attack on identity", and yet it turns out the one and only group responding to an attack on their "identity" this way are Islamists. And he became a member of an Islamist militant group (which doesn't count as evidence (? ), and is not exactly the same thing as "just being religious"), but unless he articulated it in so many words, Islamism cannot be his motive. So now are back to suffering...going in circles. Concerning the Al Qaeda recruiter Al Awlaki, I have written again and you can check it if interested. Arizona Atheist: Interesting post. I see no issues. Everything is accurate as far as I know, with the exception of your claim, which I've refuted above, about Al-Awlaki instigating attacks. What's your rationale for thinking this? Even the agents assigned to investigate didn't believe he was responsible for the Fort Hood attack. You continue to blatantly ignore the gross error I pointed out in my post. Al-Awlaki didn't “instigate” anything. He did approve of Hasan's actions, but he did so after the attacks. It's kind of hard to “instigate” something when you only approve of it afterward. I agree Al-Awlaki's views were becoming highly radical and immoral. However, it's about due process and he did not commit any crimes, let alone deserve the death penalty. He never hurt anyone, nor planned or carried out any attacks. At the very least no evidence has ever been presented showing this. Every American should be worried about these erosions of our civil and legal rights. No Cross No Crescent: I am not worried, since I am not making youtube videos telling people to commit murder. Awlaki knew Hasan from 2002 and before when he lived in the US. It is not for no reason that Awlaki called Hasan one of his students after the fact; Hasan most likely had heard those ideas from Awlaki when he attended Awlaki's mosque near DC. Would you trust your murderous ideas with someone who you don't have strong reason to believe with sympathize with them? And if Awlaki knew about Hasan's intentions and didn't agree, why didn't he say so? In our legal system at the very least Awlaki would be guilty of reckless endangerment, for knowing about an individuals murderous intentions and not acting. And Awlaki certainly never stopped his incitements, he continued to recruit until he died. As for why he deserved the penalty he got, there are precedents for criminal penalties against those who incite violence, if the incitement actually leads to violence. I mentioned Julius Streicher for a reason in my second post on Drones. http://www.skepticink.com/nocrossnocrescent/2013/03/10/the-drone-war-a-necessary-evil-part-2/ And the due process is not due when someone lives in a lawless area and capturing him is impossible. Arizona Atheist: Yes Hasan and al-Awlaki knew each other previously. He called him his student because he counseled him as an Imam in his mosque years ago, just as he counseled hundreds of other Muslums who came to talk to him. During that time al-Awlaki was considered a moderate who condemned the 9/11 attacks. It was only much later that he became angry over the wars. I'm sorry, but your theory doesn't stand up to the facts. If you read the emails I cited Hasan approached al-Awlaki about the idea of killing soldiers, not the other way around. And al-Awlaki never responded to the email. Ok... so having been proven wrong about your instigation claim, now you assert he could be held responsible for “reckless endangerment.” Wow. Ok. There is not even any evidence that al-Awlaki even read those last few emails of Hasan's about violence. He likely did not since he knew the U.S. wanted to kill him so he went underground during that time. And again, he didn't incite anything as I've demonstrated, and you've failed to prove. And you once again repeat a claim I showed is demonstratively false. He didn't live in a lawless area. The tribes in the area or the government would have captured him had the U.S. government given them evidence of illegal activity. But the U.S. had other plans. I'm sorry, but you really ought to read more about a subject before making unsubstantiated claims like this. Are you a skeptic or not? I've been reading a book called Dirty Wars that devotes a lot of time to this issue. I suggest you read it. Then at least you can look at the facts yourself instead of repeating government propaganda. At least then you'd be informed. No Cross No Crescent: Concerning my credentials as a skeptic-I have a word for the wise: those who live in glass houses should not throw stones. Among other things, skeptics are not the type of people triumphantly claiming to have "proven" something so lightly. Now for Awlaki, he did respond to some of Hasan's email, very cordially as I may add. But you are saying he didn't receive others. On what basis should be presume so? If he received some of his emails he most like got others too. And he certainly gave no indication of disapproval of his murderous intention. Now, for Awlaki have been a "moderate", I would be extremely cautious. What he said in public in 2002 and before by no means reflects what he preached in his mosque, and less so what he told personal acquaintances like Hasan. Again, if your intention is to commit murder, why bring it up with someone you don't think will be sympathetic? As for a tribe capturing him, there really isn't a good precedent for that. If anything, precedent suggests locals aren't so reliable as allies when it comes to capturing targets for the US. As for US "not having evidence" for a trial against Awlaki, if I may remind you, the US is now trying Suleiman Abu Gaith with precisely the same kind of evidence. Awlaki had made tons, and tons, and tons of incitements on you tube (some of which still circulating around the web). And he was linked to several attacks, including the "underwear bombing" and "parcel bombs" of 2010. A jury would convict Awlaki without leaving the jury box. I find the claim that the government killed Awlaki for not having evidence to put him to trial very hard to believe. (Personally, I find the prospect of boarding a plane with an Awlaki associate on board a lot scarier than Awlaki being put out of business of making propaganda for Al Qaeda by US government). You continue to say the government couldn't convict him. Except the case against Awlaki would have been much stronger than the case against Abu Geith. I have heard about the book you named and heard about the author. I wasn't overly impressed. I will write a post about the Drone War and how it affects recruitment for Al Qaeda, which is the main point this person brings up. But still that doesn't make the Drone War either morally or legally unacceptable. The fact that I called the Drone War a necessary evil was precisely because of civilian casualties. I never had any sympathy whatsoever for someone like Awlaki. Making speeches is not a crime, which is what I was getting at with my previous response (and you ignored most of it - again). This is why they had to make up alleged bomb plots and other “evidence” in order to convict al Awaki. As a matter of fact I have proven my case. It's simple. 1) You have failed to provide evidence that al Awaki could not be captured. 2) I demonstrated that each of your statements in your two posts on the subject were wrong (as have been your subsequent replies here), because you didn't check your facts. I think that is a fairly strong measure of “proving” a case. If you had any facts you'd use them, instead of speculation as you have been. Even in this reply you use much speculation. You don't know what he said in his mosque so it's pure speculation. Furthermore, he was interviewed by many news programs after 9/11 explaining his sorrow about the attacks and his support for the U.S. It was several years later that his views changed. I think your argument about Suleiman Abu Gaith harms your case since, according to news sources, he was put on trial, so why wasn't al Awaki? And as I said, he had already been captured once while in Yemen so he could have been captured again. Ummm. The link you cited discussed American and British soldiers, not Yemeni soldiers. Which, have been successful at capturing terror suspects. Yes, al Awaki was not a saint. He defended murderers but that does not make him one. Nor does that prove that he planned or carried out any attacks himself. Guilt by association. That's highly presumptuous. This is precisely the deranged criteria use by the government that has killed hundreds of innocent civilians. As I said, a skeptic uses facts and logic. You have not employed either during your discussion about this case. I'm sorry but I think you really ought to go back to the drawing board on your views about this issue. No Cross No Crescent: So a skeptic uses facts and logic? That would include, when keep making this about me? Isn't it called ad hominem? And you keep telling me I'm not a skeptic? And how about conspiracy thinking, that is characteristic of a skeptic? The US government didn't care to capture Awlaki because...there weren't tons and tons of incitements by him on the web? Because the judges are particularly keen on excluding evidence against such suspects, being known as the one who let a terrorist walk free? Because juries have not been willing to convict such suspect? You keep accusing me of speculation. Isn't your insistence that the government had "other ideas" mere speculation? So he was already captured. How does this guarantee that it would happen again? You know, the Red Sox won the World Series in 1918, but it didn't happen again until 2004. And I am still waiting to hear why Hasan confided in Awlaki about his murder plans if he didn't think he would be sympathetic. Which he clearly was, as in his responses to Hasan's other emails, he was very cordial with no hint of concern, that he could kill someone and get into trouble. It doesn't look like you took a close look at the link I provided. It says this, for example: "But at Tora Bora, the Afghan mujahideen proved unreliable allies. They refused to fight at night leaving al-Qaeda to reoccupy ground that had been painfully won. At one point they agreed a ceasefire which may even have secretly assisted Bin Laden. "I don't think they were properly trained," recalls the anonymous Special Forces soldier. "And I don't think their heart was in it."" Essentially, Bin Laden got away at Tora Bora because too much was trusted to the locals-and we should be doing that again? As for the "guilt by association" assertion-did you read what I wrote about Julius Streicher? The allies believed incitement for murder deservers the same punishment for murder IF IT RESULTS IN MURDER. In case of Awlaki, that was clearly what he was trying to accomplish. If you have a problem with that your problem is with Nuremberg trials, not with me. This is all information I've read about what government agencies were doing and saying at the time. This is no conspiracy theory. Either way, al Awaki could have been captured and even several government agents and members of Congress warned about this dangerous and illegal precedent to kill an American citizen without due process, which is what this is about. I think you should look up what due process is. If you think it's just a “process that you do” (to quote the corrupt A.G. Holder) (like leak unverified accusations against someone to the media) you're horribly mistaken. My point was that 1) He could have been captured. It happened once, it could happen again. 2) He was in custody for over a year. The U.S. government could have charged him with whatever they claim he had done but they didn't. The Yemeni government saw no evidence against him from the U.S. and let him go. Read that again: The U.S. provided not a shred of evidence of his guilt so they let him go. It's the law that a person is to be freed if there is no evidence against them. That's pretty good evidence that the government had nothing on him that he did anything illegal. That was my point. Neither I or you are mind readers so we don't know if al Awaki read Hasan's emails at that time. There is no evidence he even knew of the attack. However, your original claim was that al Awaki had “instigated” the Fort Hood attacks and I told you (gave you the emails even) that al Awaki never responded to Hasan and never said anything about his thoughts about violence. Like I said before, you're applying the illogical principle of guilt by association. Now, afterward al Awaki praised the attacks but he didn't plan it or tell Hasan to do it. Even al Awaki said so himself. But I've already gone over all of this already. Your link discussed a raid by American, British and a mere ten Afghan soldiers. The operation was 99% American and British. I'd hardly call that an example of Afghan forces failing to capture anyone. Besides, I've given several examples of Afghan forces capturing terrorists already, but you seem to continue to ignore all evidence I'm providing. Not very skeptical of you. And that's not ad hominem. That's just the truth. BTW: The raid the article was discussing was from late 2001 or early 2002. I've provided several more recent accounts of Afghan forces capturing suspects. Clearly, they've been more successful. You were citing very outdated information - over ten years ago! I've responded to this one too: Julius Streicher was put on trial! Where was al Awaki's trial? What you're suggesting is also against the law. Read my posts. You've utterly failed to provide a shred of evidence that al Awaki did anything that was against the law. You're the one making the claim so the burden of proof is on you and you haven't satisfied that burden. Aside from failing to provide any evidence of illegal activity (that’s not constitutionally protected speech) I've also deconstructed every one of your arguments. Looks like you have no arguments left that I haven't responded to. And you have continually ignored my two critiques, which already cover most everything we've been rehashing here. I think I will allow you to respond to my specific arguments in my three blog posts (if you wish) and officially bow out of this increasingly tedious discussion. I think this conversion has gone on long enough. I think you're ignoring many facts and your views about simply casting aside all law is horribly short-sighted. The issue that is greatly frustrating me here is the fact that you – and many other commentators about this case – simply repeat things the U.S. government has said as if it's the gospel truth. “Al-Awlaki was an al Qaeda operative,” “He was plotting to kill Americans,” “He had a hand in the Fort Hood shooting,” and several other justifications. Well, where is the evidence for these actions? There has not been one shred of evidence proving these claims as I noted in my post. Not by you and not by the government. And the evidence outright refutes your repeated claim about “instigating” the Fort Hood attack. Doesn't this strike you as odd and a bit ominous that the government has simply executed someone without any legit reasons? It is important to separate truth from falsehood in this case. Let's look at several facts. Yes, Al-Awlaki said some horrible things but they are covered under freedom of speech and it would be hard to prosecute him for this. This is why I believe the government has simply spread this propaganda that even intelligent people like yourself has unfortunately gobbled up without thinking it through. This is what propaganda is. It is a device for shaping public opinion so leaders are free to stretch the bounds of their powers, until they can get away with pretty much whatever they want, which is what's been happening here. You continue to claim (and I'm paraphrasing here) that anyone who advocates violence ought to simply be shot in the head, but what about their rights to due process? If you don't grant it in one case you can more easily not great it in another case and that is a horrible precedent. I firmly believe that all people should be held accountable for their actions, but that process should include due process. None of these criteria even applied to him. There has been no evidence that he plotted anything, he was not a member of a terrorist organization, he would have been able to be captured since many people knew where he was, and he was not a “active” combatant in any war. Look up the Geneva conventions. A person who is not in “active hostilities” (meaning active combat) and is not a soldier is classified as a civilian and should be treated under the guidelines of the Geneva Conventions as such, and civilians are to be protected. Now, obviously, if that civilian engages in hostilities they too can be engaged in combat, but that does not apply in this case. There were no arms being taken up by al-Awlaki. At least there has been no evidence of this. And if the government did have a good case, why not prosecute him in court, present their evidence, and then execute him or place him in prison? There was no reason not to. As a matter of fact, the Yemeni government did place al-Awlaki in prison at the behest of the U.S. government for about a year, but they finally released him because he was not charged with any crimes and the government presented no evidence. It was after this that the U.S. killed him with a drone. They had him captured but leveled no legal charges against him. I think that ought to raise some red flags don't you think? This is why I recommended you read more about this case. about the body of law surrounding it. The point is that there was no moral or legal justification for al-Awlaki's murder. Even more than that, this case sets a terrible precedent. I urge you to read this article and think about this. Would you want a republican with these powers? Any concessions by the people about the powers the government can hold applies to other, future, administrations as well. Would you really feel comfortable with another George W. Bush-like president with these powers to simply order people killed? The facts are that the U.S. government had no legal means by which to act so they simply ignored the law and began spreading unsupported assertions to justify their actions after the fact. This sets a horrible precedent for everyone in the future. No Cross No Crescent: See above. As for Al Qaeda using the plight of Iraqis to recruit, it has to be said, Al Qaeda has been extremely cynical in exploiting all kinds of situations to recruit. For Al Qaeda to "sympathize" with ordinary Iraqis was the height of hypocrisy. The majority of population in Iraq are Shiites, and Al Qaeda has been murdering them in their thousands for many years now. While the suffering caused by sanctions would not discriminate, numerically most victim would be Shiite. So why would Al Qaeda turn to mass murder the same people it was sympathizing with one day? Easy. Back then it was a tool for recruitment, helping the cause of bringing about a caliphate. Now, the Shiites (considered heretics by fundamentalist Al Qaeda Sunnis) are the main obstacle to a Taliban style "Islamic Emirate" so they have to be killed. It all makes sense if you remember extremist religious ideology is their true motivation. Arizona Atheist: Muslims are not the only ones who sacrifice themselves. Buddhists have set themselves on fire and killed themselves in protests against the Chinese. Killing oneself in protest is not purely an Islamic issue. However, as I said before, I do agree that religion is an aspect of Muslims' hatred against the U.S., particularly regarding their occupation of “holy” lands. But you're also missing another aspect of why groups like al Qaeda attack the U.S. As I've pointed out many times, with several clear cut examples, it is often the killing of innocents that cause them to become angry. And it's the destruction of their communities. You argue it's mere propaganda, but you've failed to show any evidence that your view is the only correct one. You simply assert that what they say can't be true. Where's your evidence? I've provided several examples of bombers citing drone attacks for their reason for their own attacks. And you didn't answer my question from before. If their religion is central to their attacks, and not retaliation over the destruction of their lands and the killing of masses of the population, why don't they consistently call on other Muslims to attack the US over civilian deaths and not only about the presence of “infidels” on “holy” places? Surely, the latter would gain more support since, as you argue, most al Qaeda figures don't care if most the population dies? It's highly unlikely these calls for justice over dead civilians is only propaganda. No Cross No Crescent: Well I did mention that they use as a rallying cry in solidarity with people they actually consider heretics and will kill if they get a chance (Iraqi Shiites). If that doesn't show their claims are cynical I don't know what will. And why won't they be more honest in their propaganda for recruitment? Because there are over a billion Muslims in the world and not many of them are as obsssed with setting up Islamic Emirates as Al Qaeda is. Of course once recruited they will be indictrinated, but it is easier to rope them in using the plight of their brethren and then turn their rage against generic infidels having nothing to to do with the said plight, eg, the Tsarnaevs. No Cross No Crescent: There is a lot of anti-US resentment in Latin America, and not a single suicide attack. Reason? Religion. Anti-US resentment exists in many parts of the world, some of it legitimate and some not. But it doesn't show itself in this particular way. And in case anyone forgot, 9/11 happened before there were any drone strikes. Arizona Atheist: Actually, in the 50's a few Puerto Ricans attempted to assassinate president Harry S. Truman because of the U.S' polices in Puerto Rico. http://www.trumanlibrary.org/trivia/assassin.htm. What you've said is inaccurate. Muslims are not the only groups to resort to violence due to U.S. Policy. No Cross No Crescent: Now, if you could find people from some other Latin American nation committing violence against the US because of US policy in Peurto Rico that ARE NOT PEURTO RICAN based on something like "Hispanic identity", that would be akin to Tsarnaevs' revenge against the US for something happening in other countries they have nothing in common with other than the "identity". The reason there is no such equivalent is that it is not "identity" that motivates Islamists, but religious ideology. Arizona Atheist: You had asked for Latin American terrorists. There you go, so what's the problem? *I'm shaking my head. * I cannot understand your unwillingness to admit your errors. I've tried to open your eyes. Oh well. No Cross No Crescent: Not exactly. I did not ask for Latin American terrorists. Of course any group of people could react violently to what they perceive as an attack on their country, but it is not so common for them to react in such a way to an attack on ANOTHER country. I asked for terrorism arising from the nebulous concept of an attack on a group's "identity" (your example being hypothetical violence from gay people, as a result of attacks on other gays). Since there is absolutely no example of this, the hypothesis that Islamists actions are primarily motivated by ideology ("we are all members of the Ummah", spelled out by the Islamists themselves very often) remains unchallenged. This isn't about “identity.” You had asked for evidence of other groups attacking the U.S. I believe you've committed a fallacy, commonly called the act of “moving the goal post.” You asked for evidence of groups other than Muslims who've attacked the U.S., I provided it, and you ignored said evidence by claiming it's not good enough because they didn't come to the U.S. to commit their attack (“Of course any group of people could react violently to what they perceive as an attack on their country, but it is not so common for them to react in such a way to an attack on ANOTHER country.”) Ummm.... they tried to assassinate the U.S. president when he visited their country. Attacks do not have to take place on U.S. soil for them to count. That's why U.S. citizens are often targeted in foreign countries, such as a night club a few years ago that was blown up. Forgive me, I can't recall where off the top of my head (Brazil maybe?). There were Americans vacationing there, who the Muslims suicide bombers wanted to target. I'm sorry, but the facts are clear. Groups have attacked the U.S. solely because of their foreign policy. I am of course not denying religion plays it's role in some cases, as I've said before, but in many cases foreign policy is the sole motivating factor. No Cross No Crescent: You don't see French homosexuals attacking Iranian interests because Iran persecutes Iranian homosexuals. You don't see people from Honduras attacking the US because the US has imposed sanctions against Cuba. Forgive me but your hypothesis that people attack the perpetrator for grievances against their "identity" just doesn't pan out. People from religions/sexual orientations/ethnicities etc harboring NO GRIEVANCES against a certain nation do not attack that nation BECAUSE OTHERS HAVE BEEN ATTACKED BY THAT NATION. The kind of revenge that comes from Islamists (like Tsarnaev going after the US for things happening in Afghanistan, without the US ever having been engaged in a war in Chechnya where he is from) are UNIQUE. You said that is because his "identity" has been attacked. I showed you that aside from Islamists this just doesn't happen. Now who is moving the goal post?The facts are clear. You are trying to put the give religious ideology a clean bill of health so you can put the blame on US policy. Once again, you commit the fallacy known as “moving the goal post.” You ask for examples of people from other countries, like Latin America and now Cuba, who have attacked the U.S. You continue asking for more examples and I keep fulfilling your demand, and when I do, you continue to want more examples. I think it's pretty clear that no amount of evidence will be sufficient to prove to you that U.S. foreign policy is largely to blame for the many attacks the U.S. and it's citizens suffers, both at home and abroad. By the way, I only used the subject of homosexuality as an example to demonstrate my point. I wasn't trying to infer that homosexuality causes violence or something of that nature so your argument on that issue is moot. You ask for terrorists from Cuba, now, eh? I am not aware of any acts of “terrorism” from any Cubans. To this I say, so what? This does not mean that it can't or won't happen some time in the future. The 9/11 attacks took place to avenge acts that happened in the mid 90's so who is to say that U.S. actions in Cuba might create some hostile acts against the U.S. in the future? This does nothing to the fact, however, that peoples from countries other than Muslim ones have attacked the U.S. or its citizens, or leaders in some way as retribution. This fact cannot be denied. Somehow, though, you are denying these facts and I'm honestly stumped as to the best way to get these facts to resonate inside your head. Up to this point I've been unsuccessful. Update (June 13, 2015): I have been doing some reading at the Global Terrorism Database, looking at the many instances of terrorism in the US. At the time I was unaware of this resource, but I have come across something interesting. NCNC was asking for Cuban terrorists. Well, the database lists 20 acts of terrorism in the mid-70's by the group calling itself National Front for the Liberation of Cuba. In addition, the Organization Alliance of Cuban Intransigence also committed one attack, using an Improvised Explosive Device to try to kill Maria Christina Herrera in 1988. Other Cuban groups are also listed. I wish I had known about this resource before. But it just goes to show the lack of skepticism and diligent thinking and research that goes into NCNC's worldview. As far as the Tsarnaev issue specifically, I've since come across information that he may have committed his actions because of his religious identity, but I've yet to get any confirmation of this. Until I do, I can only go by what he said about being motivated by U.S. actions. Even if he did carry out his attacks due to religious ideology, this would do nothing to my case since there are many examples I could cite where people attacked the U.S. Specifically because of U.S. actions inside their country. Muslims are one example, though I agree that religion is an aspect of these actions,but it is by no means the only reason by far. I demonstrated also how a group from Latin America tried to assassinate the then President of the United States because of the U.S. actions in Latin America. I've also cited a number of direct quotes of "terrorists" claiming U.S. actions as a reason for their attacks, from bin Laden to the "underwear bomber." These are the facts. I've said all I can. Foreign policy is often a reason many groups harbor grievances against the U.S. and oftentimes these grievances lead to violent acts. And yes, religion certainly has it's role, but it's certainly not the sole factor in many cases. This concludes the discussion. It took place over the course of a month or two, which is why it is so long. I think it should be clear who won this debate. 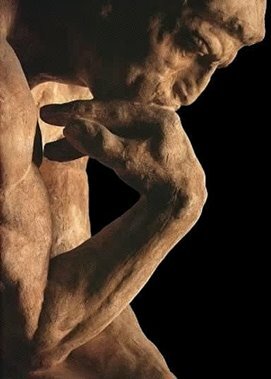 I had all the facts on my side, while NCNC continually cited opinion, speculation, and relied more on fallacious reasoning than logical argumentation. I think it should be obvious to anyone that any time someone must resort to faulty reasoning to support their views, those views are very much in error, and I believe it is intellectually dishonest to hold positions that defy the facts, except that's precisely what NCNC has chosen to do.